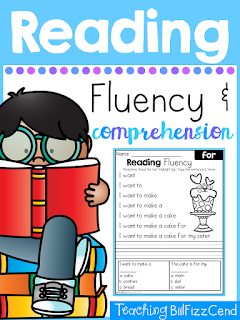 Here is my FREE Sample of my Reading Fluency Comprehension packs! Every page focus on one sight word. Students read the text and highlight the sight word focused on. Students re- write the sentence two times for extra practice writing their sight words. Each page has two comprehension question. If found this product helpful simply click on the green star on the top of my store and you will get notification on new products (free or priced) and Sales!